In short: An über luxe German coupe. There is no doubt that, just like its sedan sibling, the CL550 coupe is a sensationally imposing vehicle, and that every bit of its design screams luxury and high society. It is loaded with technology, from the safety of the night vision system to the comfort of the massaging seats. 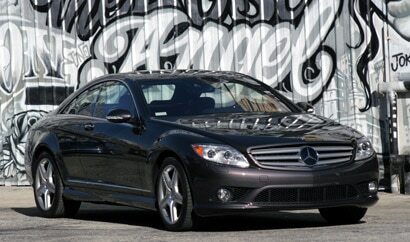 (For more information on the technology, see our 2007 Mercedes-Benz S550 Systems page.) 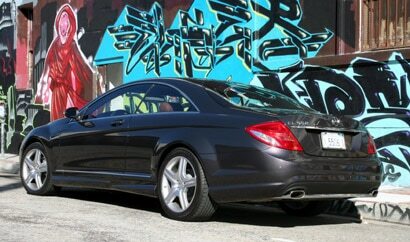 The CL550 is the ride you get when you have reached the top. While it has plenty of power, spend more for a CL600 or the sport-oriented CL63 AMG version if you’d like to be rocketing obnoxiously about town using plenty of petrol. The civilized 550 is more of a cruiser. One of its tremendous assets is a suite of active and passive safety features—it would be hard to feel safer or more comfortable in any other automobile. This car has plenty of style too, with a sweeping, pillarless body design, and an impeccable interior design that includes rich leather dash and seats, polished burlwood treatment and soft aluminum knobs. The cockpit is ultra-elegant, and contains a plethora of functions which have been distributed in a convenient fashion. Despite the logical design of the central command wheel operation, it still takes a bit to get the full hang of it. The two passengers up front will be treated like royalty. In the back seat, however, it’s another story. We suspect owners of this car would likely have another ride to accommodate more friends, anyway. Take it on the open road, which it will love, or stay in the city and enjoy the ride. There is no difficulty in driving this car, with the only drawback of some possible rear vision limitations. Go ahead take this megatoy out of the box and play. If you got one of these cars, you probably deserve it; you’ll make an impression wherever you drive. Warranty/Service: Four-year/50,000-mile new vehicle warranty. One-year/13,000-mile service intervals.